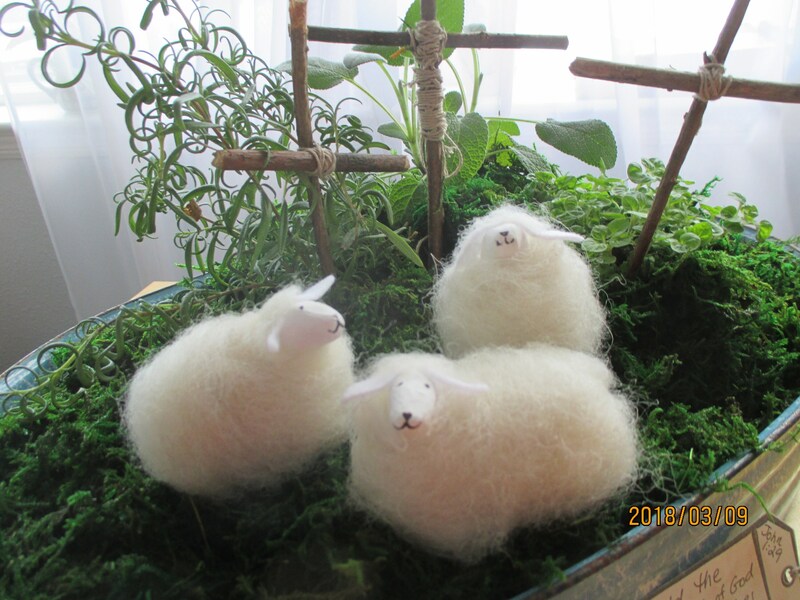 This flock of 3 Wee Little Sheep is perfect for grazing on your shelf or table-top all year long. 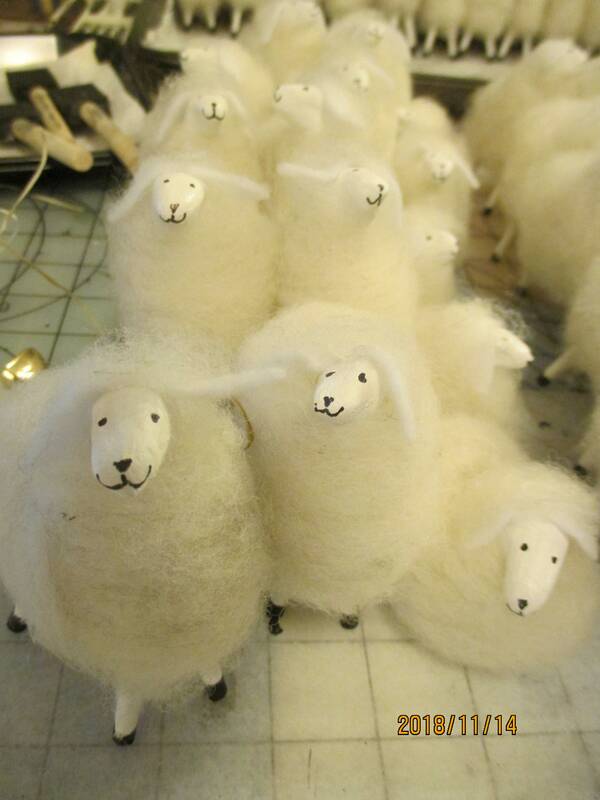 They are a nice addition to your nativity scene as well. 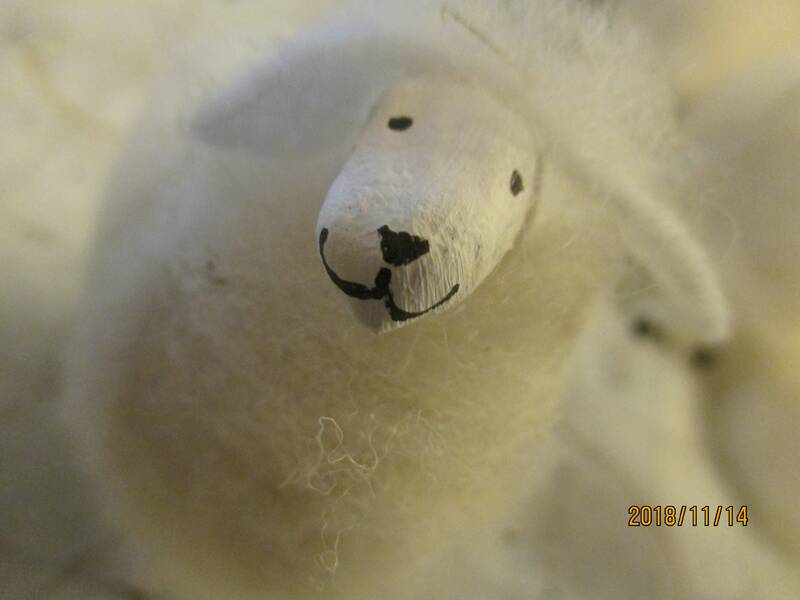 The little sheep are handmade by me using the wool from my real flock of sheep. 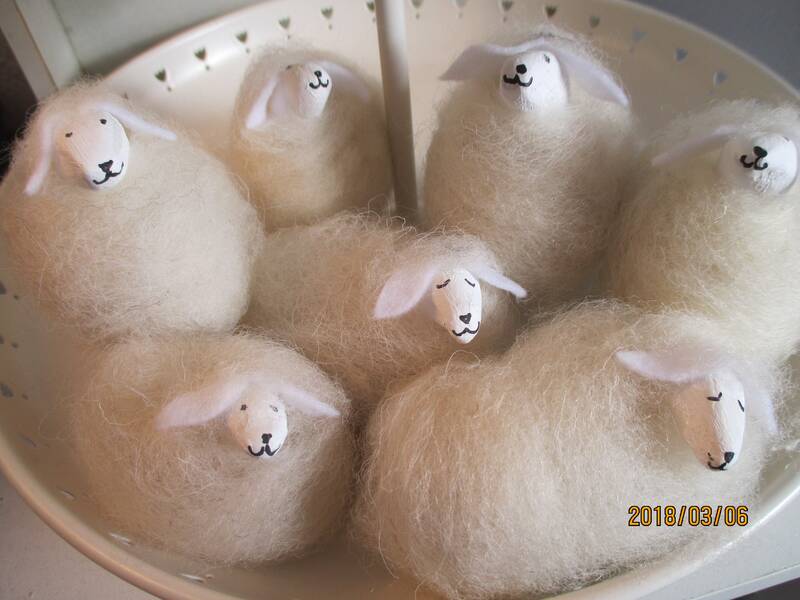 I was inspired by an article I read years ago ( 30 ) about the little sheep fashioned by Sister Bernal for her Moravian Putz and have had the joy of making these sheep for over almost 2 decades now, changing them ever so slightly as the years go by, to suit my taste. 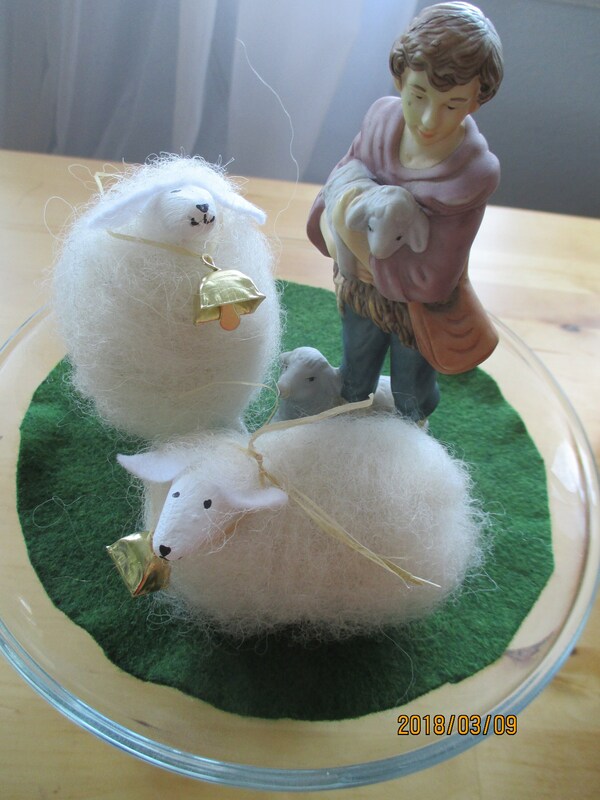 The shepherd in the picture is 6 " tall and gives you an idea of the size of the sheep but he is not for sale, I need him to tend my miniature flocks. 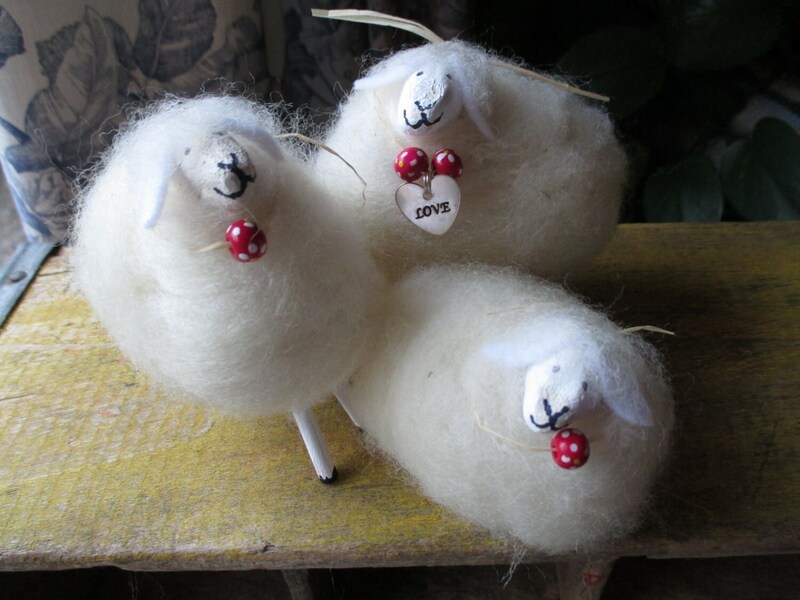 Each trio consists of 2 standing and 1 laying down sheep. 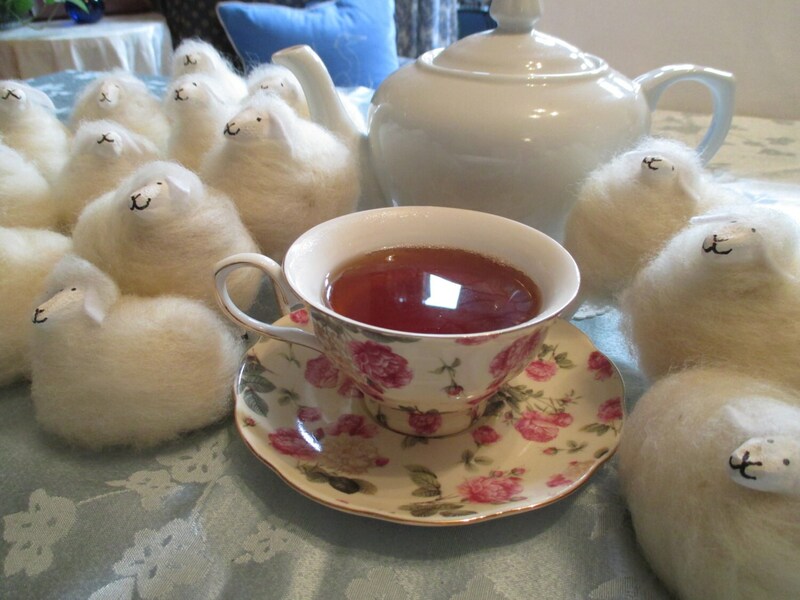 They have raffia and a bell around their necks . 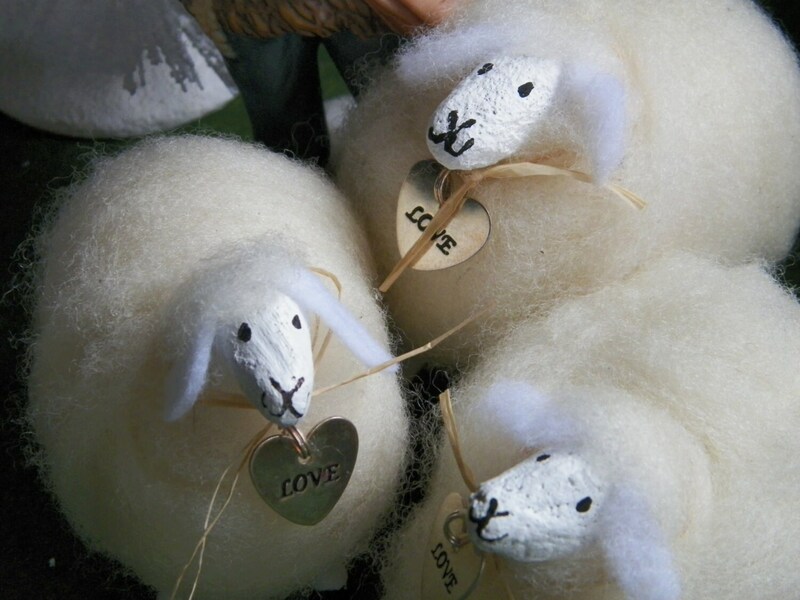 NOTE : The sheep you purchase may vary slightly from the ones in the pictures because they are individually handmade. If you prefer no ornamentation or simply raffia around their necks please let me know. 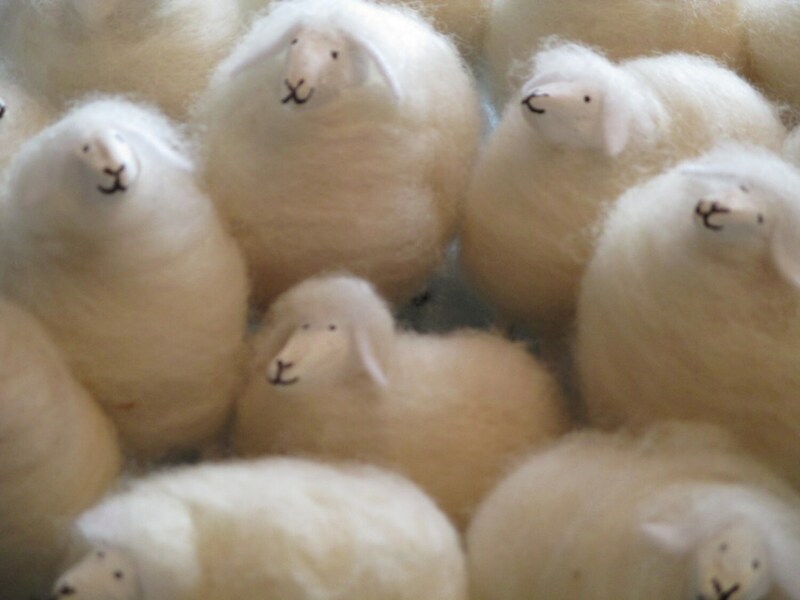 I am in the process of making more sheep and you have the option of gray or black wool on your sheep. 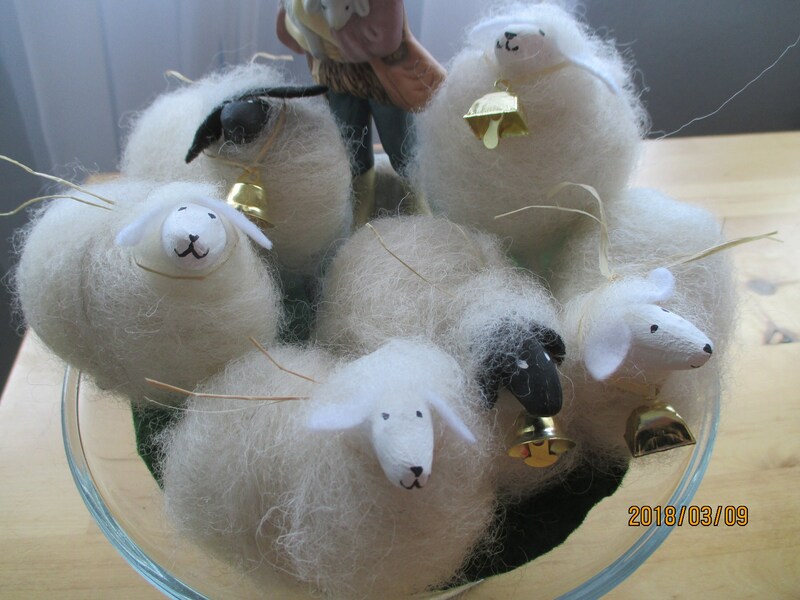 You can graze a miniature flock in your home for $20.00.Thank-you for taking time to view my shop !